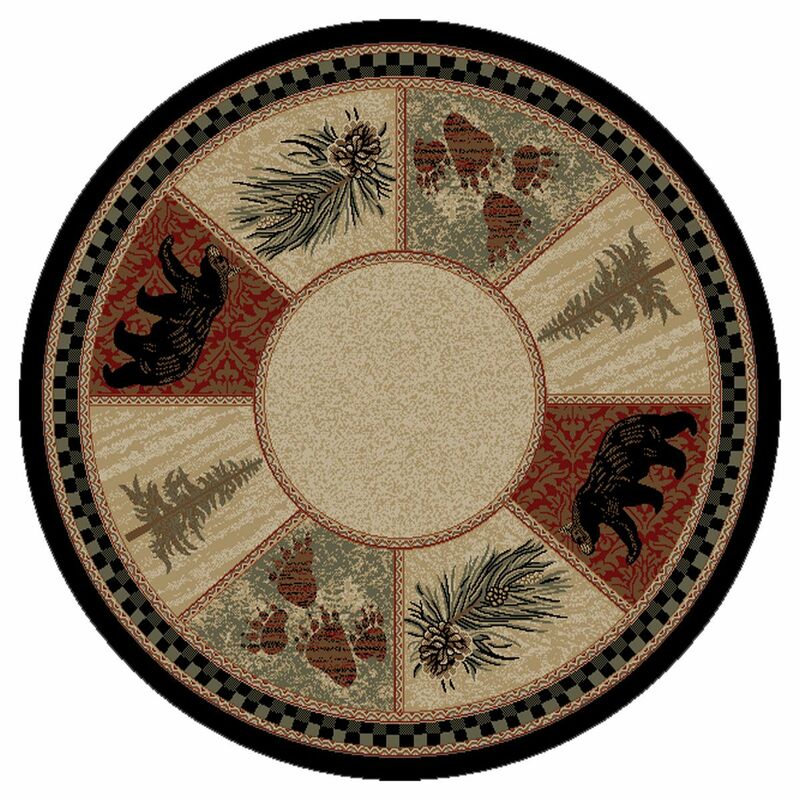 A Black Forest Décor Exclusive - This polypropylene rug with durable polyester backing showcases rugged flora and fauna with a plaid border. Spot clean. 5'3"Dia..